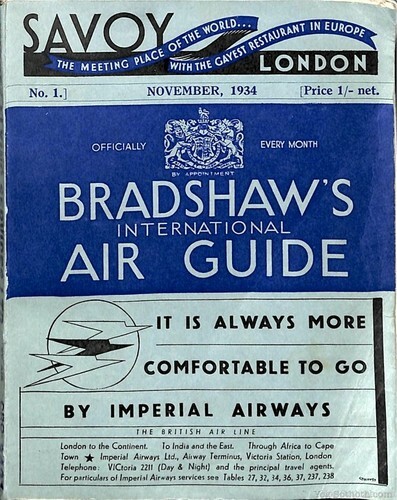 Bradshaw's International Air Guide #1 (November 1934). Plan your period international air travel with this handy little book. Also includes air route maps of the UK and Europe and fascinating period adverts.